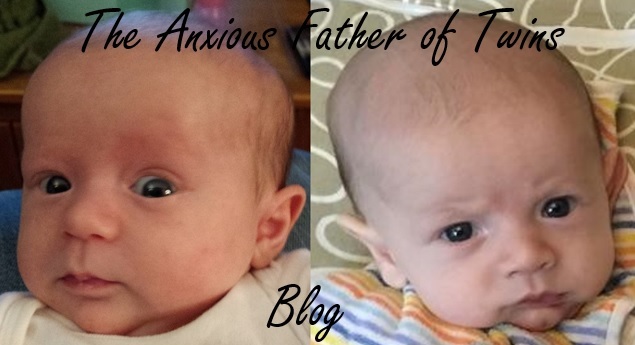 The Anxious Father of Twins: Free Time? What's That? In my adult life, I have always been the type of person to keep on top of tasks and get them done as soon as I can. Then I can easily relax without thinking of what needs to be done (and perhaps it's a bit of OCD). Looking back at my life before the twins came along, I had a lot of free time and rarely had any issue with finding time to get something done. That all changed once the twins came. It's general knowledge that parents are busy with kids, but the change is more drastic with multiples. I certainly don't have nearly as much free time now, but I try to have a bit of time to myself to relax before bed, after the twins are asleep, even if this means putting a task off until the next day or later in the week (which has been a change for me). I'm certainly not belittling the amount of work that Sarah does with the twins the entire day, just stating how much of a change in lifestyle having twins has been for both of us, especially as change for me is difficult. I would already have lost my mind trying to do what Sarah does each day during the week while I am at work. Our twins are going to grow up having an excellent mother, and I hope they will realize that.